May 2016 and May 2017 saw major announcements from Microsoft on the Future of SharePoint. 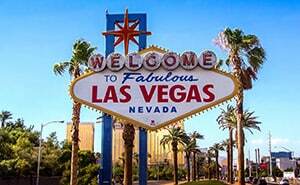 This May will be no different, only louder with a major SharePoint conference happening in Las Vegas. Planning and preparation for the SharePoint Conference North America in Las Vegas is well underway, with over 50 sponsors and over 100 SharePoint and Office 365 experts lined up to speak. The event will be held at the MGM Grand from May 21 to 23. With speakers from Microsoft such as Jeff Teper, Bill Baer, and Mark Kashman, Microsoft is expected to announce new features and enhancements to SharePoint and Office 365 as well as present a strong case for continued business adoption of these platforms. Crow Canyon is proud to be a Gold Sponsor of this event (use “CC50” for a discount when registering). Also, Crow Canyon CEO Scott Restivo will be giving talk on “Building a Request Management System in SharePoint and Office 365”. The conference is highly anticipated, and attendance is projected to be in the 1000’s. Given that Microsoft’s annual Ignite conference buried SharePoint and Office 365 in with other Microsoft technologies, the SharePoint community is excited to have a gathering of its own where the latest and greatest in SharePoint and Office 365 technologies will be showcased. See the conference web site at www.sharepointna.com for more information.